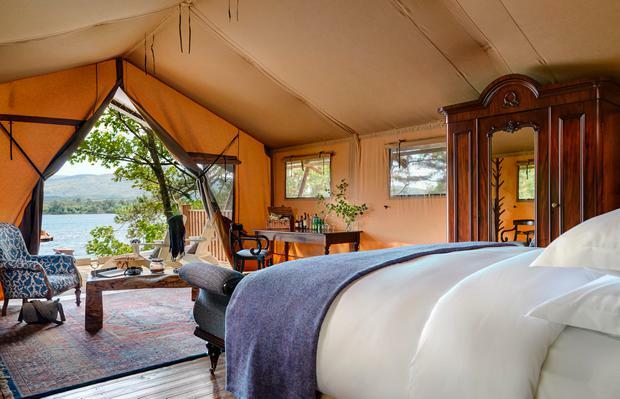 In what must be Ireland's most expensive holiday tent, guests are being asked to shell out €350 per night for the privilege of staying under canvas. The new 'Hideaway' tent is the latest addition to Dromquinna Manor resort in Co Kerry. Hotelier John Brennan, one of TV's Brennan brothers, described the tent as 'super luxurious'. He said: "It has its own private garden, en-suite bathroom, its own gate. It is in the wood on its own. "It is total seclusion and for €350 a night it would want it - it would have to be special. " 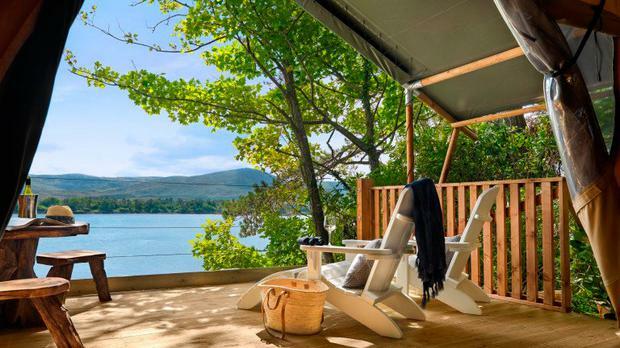 Mr Brennan said the tent had its own balcony levered out over the cliff overlooking Kenmare Bay so that water comes down in under it at high tide. Antique furnishings, bathrobes, books, Voya toiletries and ‘king-size Wilderness Beds’ with five-star mattresses and goosedown duvets are also included. He said: "It is a beautiful tent and a really gorgeous tent. I don't think there is another tent like it in Ireland or in England." Mr Brennan said that 'The Hideaway' would launch in May but people have stayed in it already "and we just can't get them out of it". Introducing the Airbnb of car hire – would you trust a stranger with your vehicle? Rory Tevlin Our break got off to a great start when we ditched rain sodden Dublin for beautiful spring sunshine in Ballina, Co Mayo.